Apple has teamed up with Wonder Workshop to teach students Swift, an easy-to-use programming language developed by Apple. The startup’s Dash and Dot robots – currently used in more than 8,500 schools worldwide – introduce students to computer science and STEM concepts. With the new partnership, both robots are now integrated with Apple’s Swift Playgrounds app. When connected to bluetooth, students can use the iOS app to program the robots to respond to voices, navigate objects, dance, sing and perform other tasks. Dash can be purchased for $149.99 while Dot costs $49.99. A bundle pack is also available for $199.95. 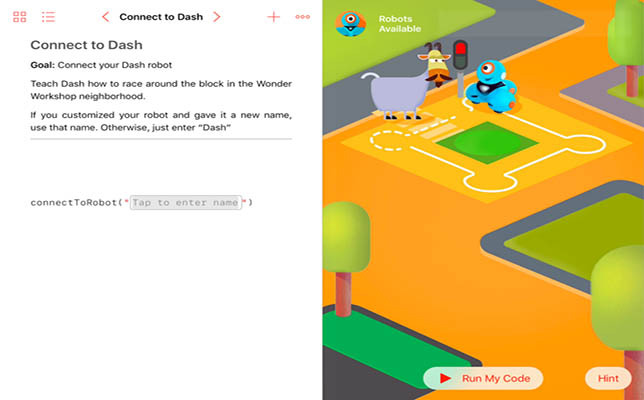 For instructions on how to download and use Swift Playgrounds with Dash, visit the Make Wonder blog.